"Welcome home, cherished benefactor, lifelong caretaker and Chickenblogger! 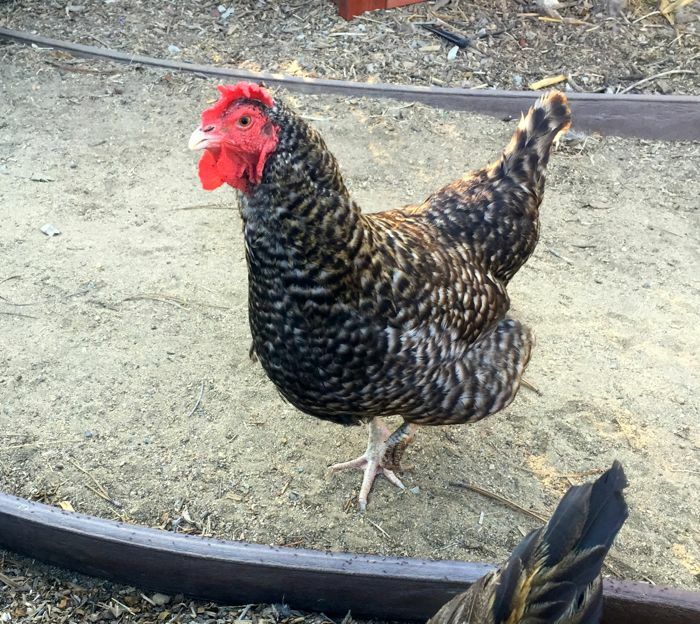 Thank you for ensuring that we were cared for in your brief absence, and now that you have returned, we will resume our relationship of trust and mutual respect," said no chicken of mine, ever! The sad truth is, they forget all about me, and our special friendship. They give me stink eye and run for the hills when I call them. They are wary, resentful, cocky, even. It's quite disconcerting. I try not to take offense. Wee brains, I remind myself, have little capacity for fond recollections, forgiveness, time-space concepts. It won't last, this re-entry period... they'll soon reconnect with me, and the great treats I bring, like watermelon rinds, peas, and soldier fly larvae! Now begins the sponsored portion of this post! I wouldn't share anything on Chickenblog that I don't personally use, support, or appreciate, just so you know. And I do support and appreciate Grubbly Farms and the innovative way they've developed a healthy treat for chickens. Right now you can click on this link to their website and order high protein snacks that your chickens will cluck for! 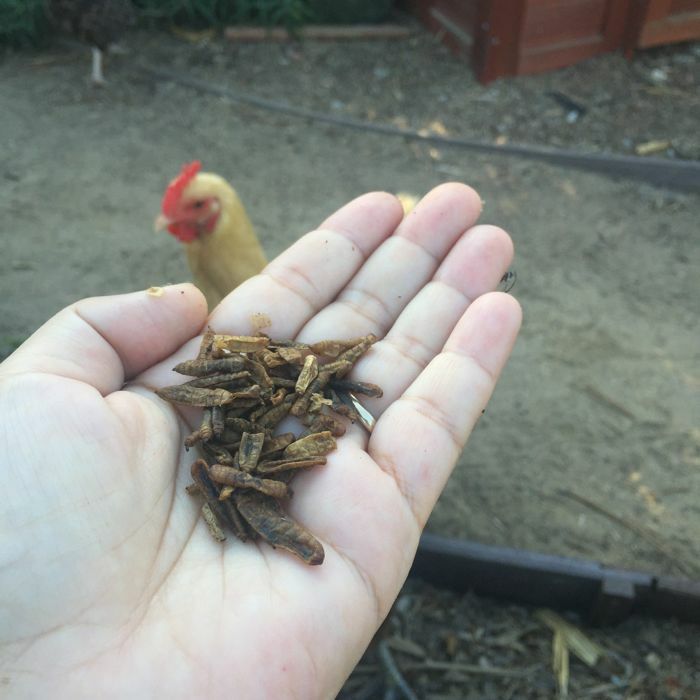 These are exactly what I need to win back the hearts and cooperation of my hens! Did you know that "scratch" and other corn treats need to be offered to chickens in moderation, and never as a staple of their regular diet? Corn can really slow their metabolism, especially in hot weather, and it puts on the fat... fat layers cannot be as easily observed in hens, but leads to health problems, disease. 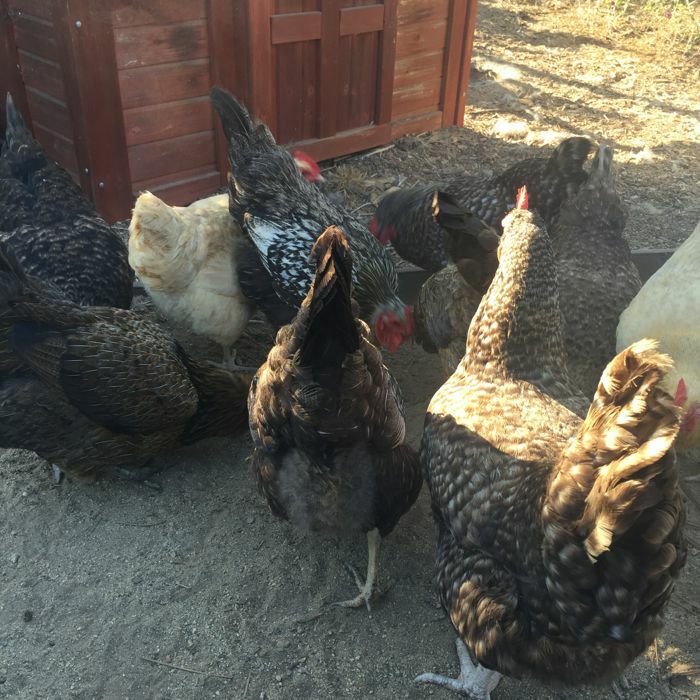 Chickens that are cooped-up need treats, things to scratch for, and it's good for them to be rich in protein, all natural, tasty! Because Grubbly Farms provides these healthy treats, while reducing pre-consumer use food waste, I feel good about sharing this product. My hens come when I call, except when I've been away for a few days, then I need a little something to coax them with. Here we go! A few handfuls of Grubblies, and now they remember... "Hey! It's that lady that feeds us, cleans our water dish, fights off predators, tells us funny jokes! We love her!" Yeah, I totally got this. Congratulations to our winners, Michael R, in West Chicago, and Janece M., in San Diego! You each are going to be making chicken friends, very soon! Everyone, you've still got a chance to bring your hens this great treat when you order with a 20% savings! Do it for your chickens! Do it for your friend's chickens! Do it for school chickens, and freedom, and America! or by commenting on this post for a chance to win a one pound bag of Grubblies, shipped to your home! Actually, two people will be winning a free bag of Grubblies! Leave your comment, and I will put your name in the pail. Like us on FB, with a comment, and I will add your name, again! Please put our name in the pail! Bought these for my girls and they LOVE them! Unfortunately I left a bag out of the galvanized can and a skunk wandered into our shed and had a field day with them. So, I'll need to order more sooner than I thought. It's okay, great treats, great price. ❤️❤️❤️❤️❤️The product!!! Chickens where happy cluckers! I bought some for a friend's chickens. ☺ I'd love to win another bag! !